I love fried chicken. And by love I mean LOVE. 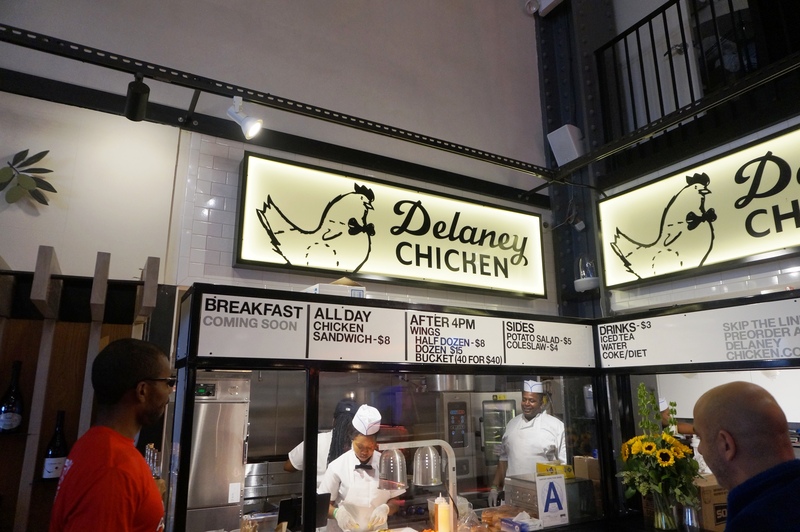 When I heard about the new place opening in urban space called Delaney’s I needed to go and when better to go then for breakfast on my first day back in NYC. 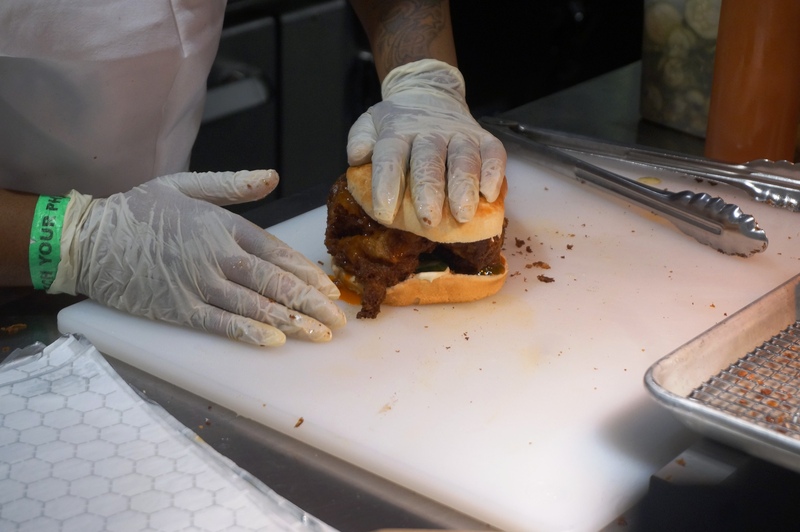 I stepped up and ordered their Fried chicken sandwich, I watched as they put two heavily fried chicken pieces on a bun with mayo, hot sauce and pickles. 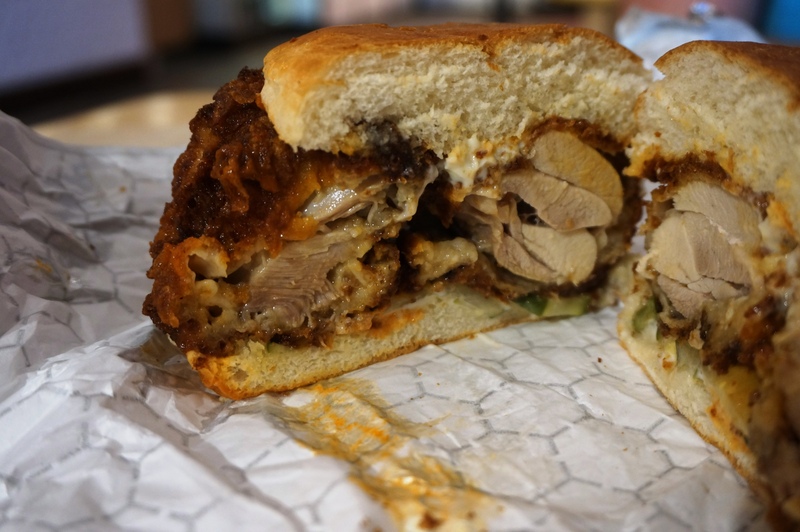 I was a big fan of the flavor and the layers of the sandwich and their chicken was the juiciest I’ve had in a long time. However, the sandwich was soggy and very heavy, I felt like I was eating a sandwich dipped in oil. I wasn’t a fan of their coating either, not as crispy as it should’ve been, nor did it stay on the chicken. Posted on October 24, 2015 by AdrielPosted in Fried Chicken, New York, United StatesTagged Breakfast, Brunch, fried chicken, New York City.